This used to be my favorite program, but Iâve been incredibly turned-off by the heavy focus on politics in recent years. Iâm tired of shows on Trump and I am tired of hearing stories about illegal aliens being deported. This show needs to find the next David Sedaris or Jonathon Goldstein but instead they will keep doing more storyâs about politics. My wife and I loved this show for its great storytelling. Lately all stories wind up to be political. I realize that NPR has a liberal POV. But this show has now gone over the top. With ratings dropping in the app store, it is clear that others feel the same. Hearing about Trump all the time is boring. I really do love this show, itâs so well done and the journalists are amazing. BUT, I do think itâs become a lot more politics heavy recently. I donât mind that on occasion, but I enjoyed the earlier pre-trump era episodes so much more. This is the best show ever, I only ever listen to other shows to make up for the fact that there are no more TAL episodes left... I currently am writing this review because I want to me listening to the show. This show is so amazing. I listen to it every night before I go to bed. Itâs ur son Auggy is so cute! I have recommended this to 12 people all 12 an are hooked. Ira your voice is so calming and you are amazing. This is my favorite podcast ever! I LOVE this show, I listen every week and get sucked into each episode, the reporting is fair and totally on point. Itâs also emotional and very moving. I really like this episode up until the second part when the girl is talking about how she could be a âless goodâ person just because she was thin. First off, I struggle with my weight and can empathize with being frustrated when people treat you differently because they are shallow, our culture is shallow for sure, but a fat person can be just as much of a piece of garbage as a thin person. Sorry you decided to be less good when you were fat but that sounds like a you problem, and a horrible generalization. Plenty of thin people are good people, so sorry you arenât one of them. Thatâs on you honey. I had empathy for you up until you said that. Also thin people do eat, all the time. I love food but I also like being healthy so I donât eat junk food because it makes me feel gross. Thatâs really it. To say that all thin people get treated better because they donât eat is a really mean generalization, you have no idea what kind of lives other people have had based purely on their weight. This show is usually way more on point so Iâm kind of surprised they let this girl say all this, she completely missed the point she could have made about our shallow culture by saying generalizations about thin people that are just as offensive as generalizations people make about fat people. I wish that this show represented all of America. The show is really well done, but is so annoyingly liberal. I just wish that some of these episodes didnât spread hate and intolerance in the name of hate and intolerance. I love some of the wit and humor found alongside really interesting thoughts. Itâs just some of us are sick of the liberal dogma. But I still enjoy listening. I have always loved This American Life. They do an amazing job and anyone would love the vast majority of their episodes. They do replay episodes a lot, love hate on that one. They are also fairy politically biased, so expect to notice that every episode. Other than this they do a fairly good job. Brand new listener and this podcast is a welcomed breath of âfresh-ishâ air. I say âfresh-ishâ only because the format resembles Guy Razâs Ted Radio Hour. But never-the-less, this podcast is light and gripping and informative and undoubtedly good. Censorship is false agenda and only a direction that will M.A.G.A. If you want a good narrative and medium to be expressed to the listener, by what is being said, go face to face or use factual information. An opinion can not be more undermined unless the idealist has not proven truthful in their speak. Phrases induce thoughts when said in any way, be more positive about your empathy. You should of gone on both of the shows Lenny. Donât be a jerk. Disclose the pain and close the blame. ycttafuI do have no problem with hearing and listening to both sides. References are solid sounding. Why work against each other to produce things both would use as dumpster bins? Iâve listened to this show for years and love all the work they put into bringing their stories! What is the BS? You have an episode on conspiracy theories and your centerpiece is the presidentâs theories???? The biggest elephant in the room is the liberal conspiracy theory that the president stole the election with the help of the Russians, Wikileaks, obstruction, etc, etc, etc.... Please, wake up to reality and stop treating your listeners like sheep. by which all else shall be judged! I wish there were a hundred more storytelling podcasts just like it because I never can get enough. I always bump up the new TAL to the top of my podcast queue. Iâve been listening for 14 years now and almost every episode has been spectacular. The show pretends to be impartial and just telling a story, following wherever it takes them. Oddly it always arrives at the same place. Trashing the president. Anytime they have an interview with a conservative itâs always the most redneck backwoods racist trash they could find. But when itâs time for the liberal perspective itâs a well read articulate person making a sound argument. Fact checking isnât a concept they have heard of either. Listed for 4 years and itâs progressively gotten worse. Glad itâs tumbling in the App Store ranks. Keep rattling that can for spare change you scumbags. Never a dime from me. Really good podcast pre Trump. Now itâs a steaming pile of liberal feces. Fix Zoe Chace's voice. Fix my star rating. That vocal fry, man. It's every sentence. She's killing her voice and for someone in radio that's not the smartest idea. Voice lessons/vocal therapy. STAT.I cannot listen to any story she does which seems to be all of them lately. Anyone who says they like her gravelly voice or "can't hear the fry" well, they're likely doing the same thing. Come to a higher register, Zoe. Save your voice and save the world. Sometimes TAL is amazing and sometimes itâs too political and skewed. I wonder where they find these people- they certainly arenât in my world. The hosts seem to be so careful not to offend one population while they trample on all thatâs sacred or morally right to another population. Iâm ready to delete my subscription. I donât mind hearing one point of view, but Iâd also like to hear the other side. 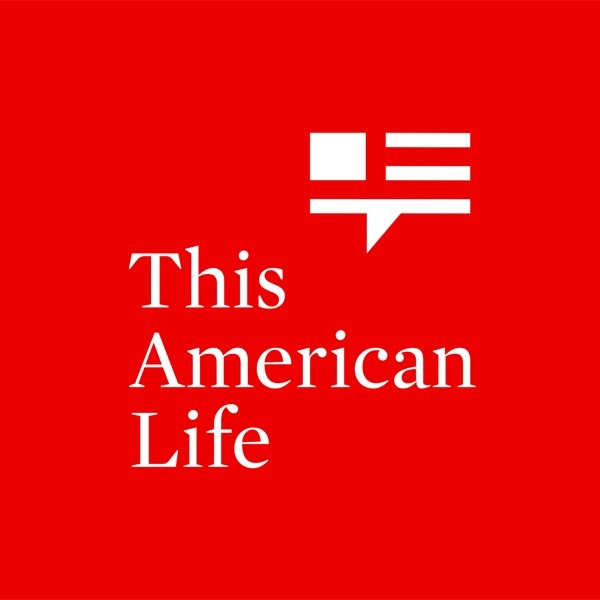 Iâve listened to this American life since 2009. The show is entertaining and such a positive force! Once a political view came into play I was disappointed. Wish with things like this it could stay neutral. Who cares about facts when you can virtue signal. Love your stories about real people in America and the issues they face. However, your episodes are shifting to political issues and ongoing Trump bashing. So tired of hearing it. Just change the name of the podcast to reflect its new content. Democrats Bashing Trump. Without a doubt, my most favorite podcast. Always great stories. I wish you could have remained an educational and informative podcast that I loved, but you chose to shove your political views into my ears. I donât care what your views are. I wasnât aware This American Life was an audio op-ed. Most Americans are blissfully unaware that the Federal Reserve Bank is a private entity. Google that and then tell me that thereâs no deep state. Immediately after no collusion was found, you immediately go with; yeah, what about? I enjoyed the story telling and was able to put aside the lopsided angles but this episode was pathetic. Nothing like reading the negative comments on one of your favorite podcasts to realize how dystopian and out of touch weâve become as a country. What I love about TAL is that it tells real stories from real people. Some of those stories are happy, some heartbreaking; the premise of the show alone keeps you from hearing just one (âbiasedâ) perspective, because itâs made up of thousands of different voices and experiences and thoughts...And the part about it that makes it so magical is that it gives you a glimpse, if only for a moment, into someone elseâs lifeâjust long enough to see that some human conditions (fear of rejection, longing for connection, pain from loss and occasionally total and complete joy) are universally shared, despite all our differences. One minute youâre laughing about a story about different societies of Santa Clauses in America that hate each other and the next youâre shaking your head in wonder from an episode on coincidence where a woman shares that she married the grandson of her grandmotherâs old flame...Personal is political and policyâeverything from education to immigration to the environment to healthcareâ impacts everyday people all the time, and TAL talks about that. But it talks about a whole host of other things, too. And I like to think that it is bringing us all a little closer together. I listened to the podcast about the library, the room of requirement. I have never heard such a heartfelt and touching podcast. I was brought back to my own love of the library. Where else can you get a free getaway, an escape from life? The story of the Brodrick library made me want to go there myself. Who knows maybe by listening today your podcast will have given me the courage to go to college. I am 38 and have been a stay at home mom and always wanted to go but put the kids first. Very touching! I look forward to checking out more podcasts. This show will make you laugh, cry and most importantly, think. Iâm sold. Masterful Storytelling! Engaging writing with in-depth characters! Good content. Host is lacking. I am sure it is just me. I love the topics covered in this show. Just canât stand listening to the host. Itâs just a strange thing with me, but I canât take the way his words all run together. Itslikeheistalkinglikethis. Strange noises bother me. And apparently so does this. Room of Requirement is my favorite episode so far! Each story underscored why I love going to the library. However, and more importantly, they made me rethink how important libraries are to communities, and all for different reasons. Kudos! Gave this show another chance after a few years. Thought I would hear about conspiracy theorists, turned out to pretty much try to trash Alex Jones for an hour. I donât listen to Alex Jones, I never would have known who he is if he wasnât constantly ragged on by media that hates him. This is like a well produced You Tube reaction video. Time to grow up. I loved TAL. Went to live events, donated to NPR. This is the show that got me into podcasts. That said, the content turned a few years ago. Itâs political. Itâs condescending. They straight up mislead listeners about opposing viewpoints. I know thereâs a bit of a culture bubble around NPR, but since 2016 itâs like theyâve turned against a vast swatch of their audience. Fabulous storytelling on your episode âthe fifth vital signâ. As a pediatric resident, I took care of many children with chronic pain. Iâm not surprised by the guess that thousands of teens suffer from out of control pain. Hearing a longer form telling of teens with chronic pain and the historical context of our thinking on pain supplied some insights that I didnât know after three years of pediatric residency. Thank you for your detailed, intelligent and important work. One of the greatest podcasts of all time, and itâs Serial Podcastâs big brother. Itâs always a pleasure to listen to this series and hear the interesting stories. Beware, itâs mega liberal and overtly assuming that the listener is too. Some of the stories assert âobvious truthsâ that are in line with a particular worldview I might not share. Great, high quality content. Interesting stories. Super left leaning. Happy listening. I used to love this podcast, but too political, too nitty gritty political play by play with Zoey Chase, lame and boring. I donât even recognize this crap anymore. Listening to âBut thatâs what happenedâ right now and literally in tears. I had no idea that the Mormon church required these confessions. My hope is that this will be shared and that things will change as a result. Beyond the fact that this episode is absolutely stunning, in the outro you all played one of my absolute favorite songs by one of my favorite artists. Wanna be Loved by Buju Banton. A song that jolted me back to my childhood in the Trinidadian countryside. The emotion flooded me suddenly. And it was sweet. Remnants of my childhood never show up here; they canât when Iâm so far away from the place I was raised. Yet here I am sitting in my robe on a Sunday night feeling exactly like girl I used to be. Thank you ever so kindly. Please send Zoe Chase to a speech pathologist. The vocal fry is at 10plus on the congressional piece she recently did . I had ear buds on and I had to stop listening. Sheâs a professional radio reporter . Its unacceptable!